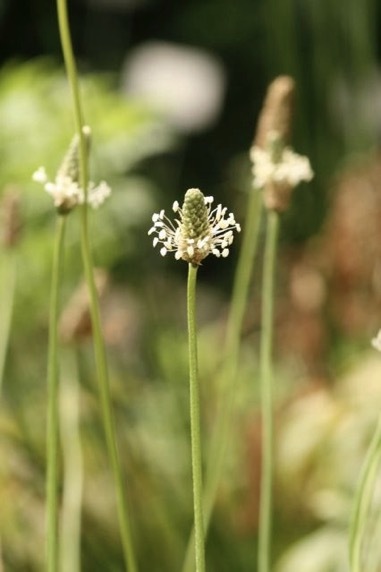 Psyllium husk is obtained from several species of Plantago including the European black psyllium (Plantago psyllium) and India's white/blonde psyllium (Plantago ovata). The seed husks of both these plants are rich in mucilage, a type of soluble fiber. Psyllium husk acts as a bulk laxative to promote regularity and to treat sluggish bowels. Fiber absorbs water and expands to stimulates stretch receptors in the intestines thus encouraging peristalsis. Avoid psyllium in acute constipation where the stool is hard or impacted because in these circumstances it worsens abdominal pain. Also, psyllium must be consumed with copious amounts of water to prevent esophageal or intestinal blockage. Paradoxically bulk laxative are beneficial against diarrhea. Psyllium mucilage turns water to a semi-solid gel helping to reduce urgency and give better bowel control. Unlike antidiarrheal drugs, psyllium helps to normalize bowel movements rather than suppress intestinal motility. Research also supports the use of psyllium to treat diabetes and obesity. The soluble fiber slows the absorption of sugar and balances blood sugar. Psyllium reduces serum cholesterol levels and helps prevent heart disease.